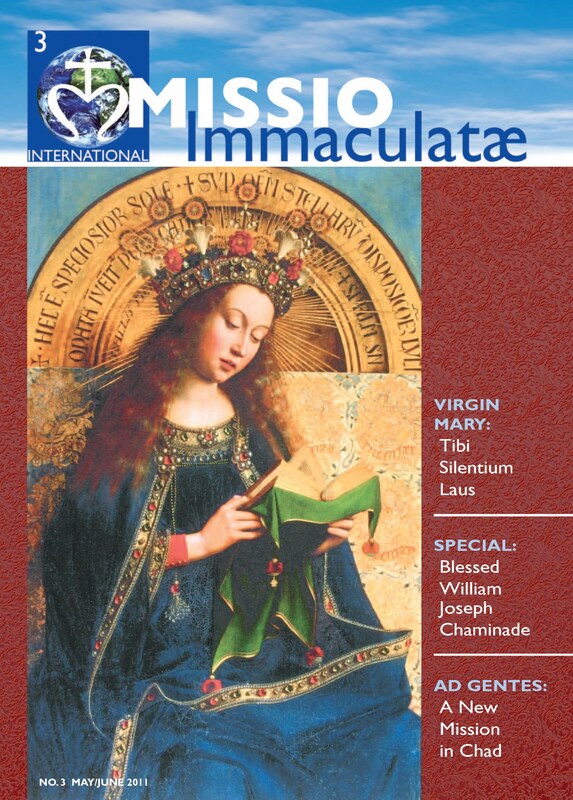 The apostolic genius of Father William Joseph Chaminade heralded the age of Mary and ushered in the age of the laity. As a young priest he found his life placed in jeopardy with the outbreak of the French Revolution. He was eventually forced into exile, during which time he had a vision from Our Lady instructing him to re-evangelize his native France. Carrying out this mission as a warrior undaunted, he spread his Marianist family even to North America. Let us unite with the Society of Mary in joyful thanksgiving for Blessed Chaminade, who trod a path for the modern world to radiate Christ under the guidance of Mary. The Society of Mary (Marianists) has proclaimed 2011 a Chaminade Year to mark the 250th anniversary of their Founder’s birth in 1761. Various observances have been planned from the feast of Blessed William Joseph Chaminade on January 22, 2011, to January 22, 2012. Born in Perigueux, France, near Bordeaux on April 8, 1761, William was the 14th of 15 children of Blaise Chaminade, a cloth merchant, and Catherine Bethon. At confirmation he chose the name of Joseph, and thereafter he signed his name W. Joseph Chaminade, so ardent was his admiration for the spouse of Mary and guardian of Jesus. In 1771 he entered the minor seminary program at the College of Mussidan. After his priestly ordination in 1785 he and two older brothers, who were also priests, assumed the administration and taught at the College of Mussidan. With the outbreak of the French Revolution in 1789 his peaceful life turned into the stuff from which adventure stories are developed. Refusing to swear allegiance to the Civil Constitution, which rejected papal authority and aimed to establish a national church, Chaminade was driven into hiding to avoid exile or the guillotine. Fleeing to the larger city of Bordeaux with a price on his head, he disguised himself as a peddler to continue ministering to the underground Church. Numerous hair-raising experiences and narrow escapes from capture caused him to muse that several times only the thickness of a board shielded him from the guillotine. As the revolution waned, Chaminade emerged from hiding only to be forced into exile at Saragossa, Spain, in 1797. It was an exile that was to last for three years. At Saragossa he worked to support himself and spent many hours in prayer at the great Shrine of Our Lady of the Pillar, where he was inspired with a vision for the re-evangelization of France. A special message from Mary helped him conceive of a family of religious and laity that would participate with Mary in her apostolic mission to bring Jesus to others. While he was in exile, Chaminade’s prayer and discussions about restoring the Faith in his homeland convinced him to emphasize the concept of mission: his future collaborators would be a religious family in permanent mission employing new forms of the apostolate to multiply the number of Christians. When Blessed William Joseph returned to Bordeaux in 1800, he opened an oratory and immediately attracted interested faithful, especially youth, to worship services and faith formation discussions. Within a year he formed a group of clerics and laity which became the nucleus for his famous and influential apostolic sodality consecrated to Mary Immaculate. The Daughters of Mary Immaculate, founded in 1816, evolved from this sodality, followed by the Society of Mary in 1817. The Marianist Family was born and the Marianist Movement launched. Bl. Chaminade was reading the signs of the times and responding with imagination to adapt the Gospel to new needs. New circumstances required new approaches. He was heralding the age of Mary and ushering in the age of the laity. This apostolic genius said simply that he was looking for a new fulcrum for the lever that moves the modern world. As the work of the Marianists developed in the establishment and management of Christian schools and teacher training colleges and the formation of lay-managed faith communities, the Society of Mary reached out to North America. In 1849 the first Marianists came to Ohio in the USA and laid the foundations for the present University of Dayton the following year. After a long, arduous and faithful life that touched many persons and works, Father William Joseph Chaminade was taken to his everlasting home with God on January 22, 1850. The Marianist founder was proclaimed worthy of public veneration in recognition of the holiness of his life when Pope John Paul II beatified him on September 2, 2000. That action culminated a process of investigation begun in 1909. Pope Paul VI declared him “venerable” in 1973. The miracle required for beatification was the cure of Elena Otero of Buenos Aires, Argentina, in 1991. This miracle granted through the intercession of Blessed William Joseph Chaminade was approved in 1998. Elena Otero was present at her intercessor’s beatification in Rome. Currently, a second miraculous cure of a young woman in St. Louis, Missouri, is being studied. The legacy of Blessed William Joseph Chaminade is a rich, apostolic Marian spirituality of living and working in union with Jesus and Mary. Recognized as the 19th century apostle of Mary, he is acknowledged as the most noteworthy Mariologist of the first half of the 19th century. He had the facility of relating doctrine to ministry and mission, and he emphasized the relevance of Mary’s role in the life of Christians. As Jesus chose Mary to cooperate with him in the salvation of the human race, Mary asks each Christian to participate in her apostolic mission to bring the grace of redemption to each person. His was an applied, pastoral theology inviting us to live fully our baptismal commitment. A favorite Gospel dictum of his was Mary’s directive to the waiters at the marriage feast of Cana—“Do whatever he tells you” (Jn 2:5)—because Blessed William Joseph Chaminade firmly believed that we are all missionaries of Mary. He directed his followers to do everything, under Mary’s guidance, to radiate Christ. The Marianist Family invites you to join them in honoring their founder, Blessed William Joseph Chaminade, and to share in his spiritual vision.